SINGAPORE, 18 December 2015 – VHQ Media Holdings Ltd, the parent of the VHQ group of companies and Asia’s leading vertically-integrated media network, announced today its successful listing on the Taipei Exchange (TPEx) in Taiwan on Wednesday,16 December 2015. The public tranche of the IPO shares, priced at NTD86 (SGD3.69) was oversubscribed an overwhelming 350 times. 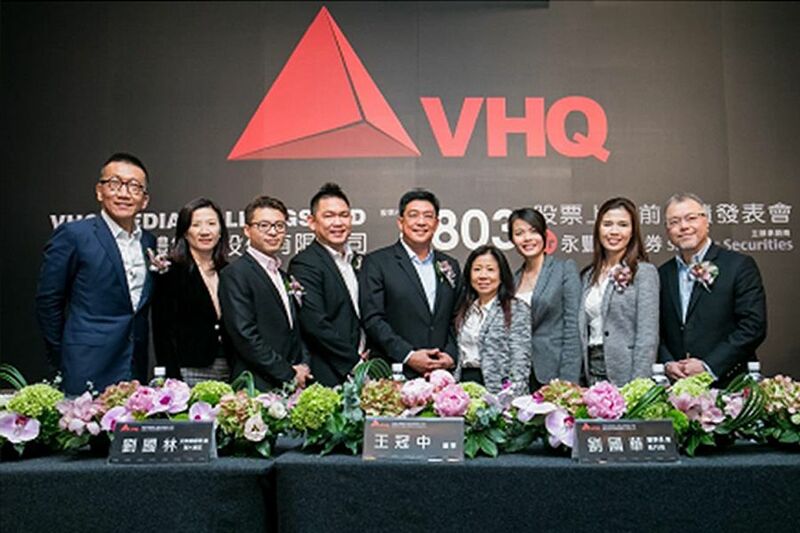 On the first day of trading, VHQ’s share price ended 91% higher, giving it a market capitalization of NTD5.3 Billion (SGD229 Million) and making VHQ Media Holdings Ltd one of the largest visual effects and post production companies in the world. This is an extremely meaningful and important milestone for VHQ, a Singapore-grown company. With the added credibility and financial strength from this IPO, VHQ Media is poised to expand beyond Asia and will have the prowess to take on larger opportunities and projects including international feature films. Incorporated in 1987 in Singapore where it’s headquartered, VHQ Media also has offices in Kuala Lumpur, Jakarta and Beijing. For more than two decades, VHQ Media has been at the forefront of the visual arts industry and the chosen partner of choice for many of the world’s foremost advertising agencies and brands like Lowe, Leo Burnett Worldwide, Ogilvy & Mather, Publicis, Procter & Gamble and Unilever. In recent years, VHQ has also produced world class visual effects for international films targeted at a global market including Wolf Totem, directed by the award-winning Jean-Jacques Annaud, which won the Best Visual Effects Award at the prestigious Beijing International Film Festival 2015. Moving forward, the home-grown creative content house has appointed new key senior staff members and will be expanding its service offerings, including greater market penetration into the China film industry and creating original content that utilises the innovative art of live action, 2 visual effects, computer animation, and motion graphics to help the world’s best loved brands create compelling stories. As it celebrates this momentous milestone and occasion, Low Kok Wah, Chairman and Chief Executive Officer of VHQ Media, would also like to take this opportunity to thank its clients, staff and partners for its continued support over the years.